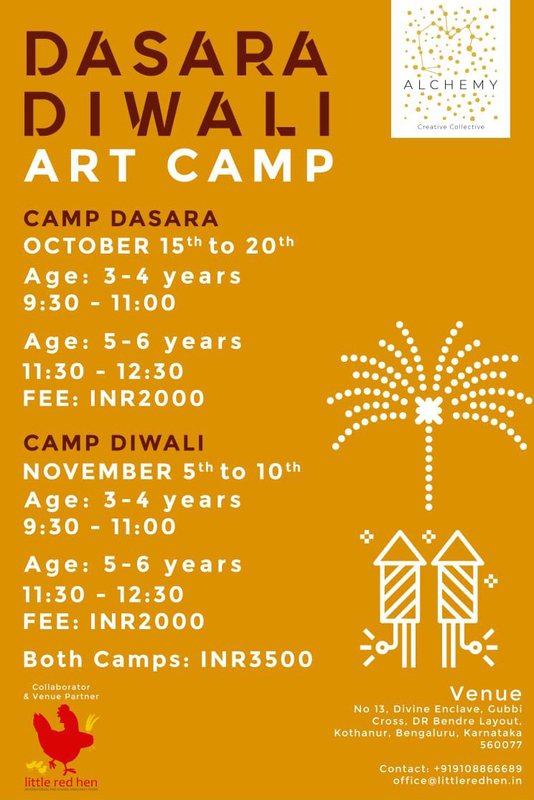 Little Red Hen Preschool & Early Years, in association with Alchemy Creative Collective, our creative partner for all the preschool learning programs announces the Dasara – Diwali Art Camps for children, to be held at the Little Red Hen Preschool Campus. You can opt for your child’s participation in both Art Camps for a consolidated program fee of Rs 3500/-. © 2018 Little Red Hen. All Rights Reserved.